The West Linn snowboard team is aiming for gold this year. And while the Lions have yet to write their story for 2018-19, they got ready for the upcoming season by meeting someone who's already won gold — U.S. Olympic gold medal snowboarder Red Gerard. 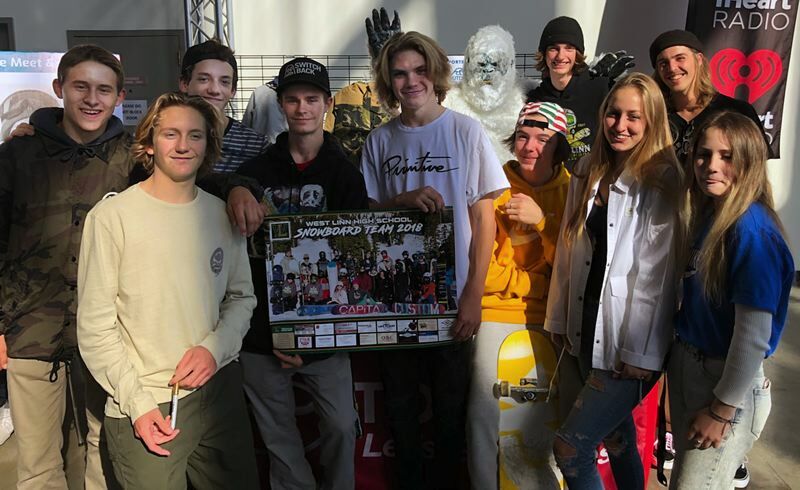 On Oct. 20, a group of West Linn snowboard team members and their families got to meet with Gerard, the 2018 Winter Olympic slopestyle gold medalist during the Snowvana event at Portland's Memorial Coliseum Oct. 19-20. Gerard, 18, was the youngest athlete to win a gold medal since snowboarding became an Olympic event back in 1998 in Nagano, Japan. The meeting was impressive, as West Linn athletes and Gerard shared stories and experiences about the most challenging mountains to board in the United States, and how Mt. Hood is considered by many — including Gerard — to be the best "day mountain" in North America. Gerard also told the West Linn group about competing internationally and what an honor it was to represent America in the PyeongChang, South Korea, Olympics.